We talk with Children’s Author Jenine Lori about creativity and our inner-child, and she shares the ideas behind her new book, “Surprise, I have 3 eyes!” We also have a great discussion about dreams and lucid dreaming we think you’ll really enjoy. How often do we find ourselves using some of these common phrases that, when you stop to look at more deeply, don’t actually align with what you believe to be true, or flat out don’t make sense? In this episode, Carlos and Satch challenge the wisdom of common sayings, offering alternatives, improved versions and, in a couple cases, Carlos reveals his own misunderstanding about some common phrases that are actually pretty hilarious. Jonathan Taylor is a master of classical guitar who was voted by guitar player magazine’s 13th best guitarist in the world. 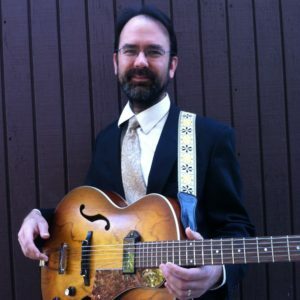 He’s studied with Pepe Romero, Christopher Parkening, and Joe Pass, and has performed for royalty and heads of state all over the world. In addition to being a classical guitar master, he’s also a world traveler and generally very interesting and funny guy. At his studio in Los Angeles, Oliver and Lanzo had a fascinating conversation with Costa Rican musician and composer Daniel Rojas about the world of media music. Daniel has composed music for over 60 feature films, TV shows and video games, and has recorded and produced with artists such as Jason Mraz, Wu Tang Clan, Demi Lovato and Snoop Dog. In addition to breaking down the differences in composing for commercials, trailers, and film scores, and his creative process, he shares a little about the top secret project he is working on with Dreamworks Animation, which will be an original series for Netflix. As always, there’s a little something for everyone in this one! 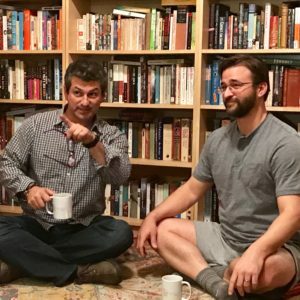 Carlos and Satch talk about ideas that guide them, and life lessons they have learned from their fields of expertise – Acupuncture, Occupational Therapy, Hypnotherapy, and NLP. This is another great conversation between great friends. redShift is a local Jazz band from Orange County, CA that you may remember from our live episode: The Tao of Jazz. 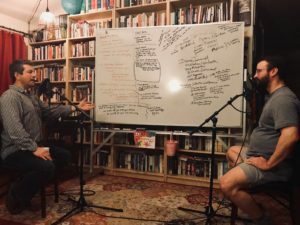 We invited them back to take a peak inside of their creative process, and learn more about how they make music with two of the band’s geniuses: Dannie Hofmann and Stu Goodis. Learn what drives their sound, and how improvisation improves us. Other topics include the conflict between complexity and simplicity, difference in music of different cultures, overtones and back beat, and how to fool restaurant owners. This one’s pretty cool, man, you’ll surely dig it! 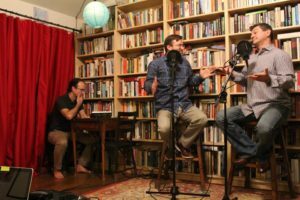 Listen in on our first live episode recorded during a live jazz concert. We’ll hear three sets from the jazz band redShift and in between those sets, conversation with the band, exploring questions such as: What is Jazz? What is improvisation? We’ll improvise in exploratory conversation about relevant ideas and philosophical concepts around jazz and, in particular, jazz improvisation.